On your next North Texas vacation, be sure to check out the many attractions in Richardson that make for an unforgettable getaway. Richardson, located just north of Dallas, is a spectacular shopping destination with treasures like the Richardson Mercantile and CityLine DFW, while hotspots like the Allen Premium Outlets, Galleria Dallas, and NorthPark Center are just a short drive away. Beyond the upscale shopping malls, enjoy some fun in the sun at the Spring Creek Nature Preserve or attend a production at the Eisemann Center for Performing Arts. Richardson even has attractions like Free Play Arcade, Richardson Food Truck Park, Alamo Drafthouse, and Four Bullets Brewery for the younger crowd. There are so many ways to enjoy some time in Richardson that it may be hard to know where to begin. To help you plan your trip, check out the below attractions in Richardson. Lean back in a plush leather seat and let the kind waiters and waitresses bring your food and drinks while you watch a flick on the big screen. Try favorites like the Royal with Cheese burger or the Carnivore Pizza paired with their famous “adult” shakes and fresh-from-the-oven cookies. CityLine DFW is an impressive mixed-use development that brings the urban life closer to the suburban community in Richardson. CityLine is a great park and play destination, as everything you need can be found here: shops, restaurants, grocery stores, salons, spas, pharmacy, and a movie theater. Spend an evening laughing and crying while you take in a performance at the Eisemann Center for Performing Arts. Watch a variety of productions in the performance hall or adjacent theater, grab some refreshments, and check out the art exhibits in the mezzanine gallery. Past and future performances include Jeffrey Siegel’s Keyboard Conversations, The Frog Bride with David Gonzalez, and the Hip Hop Nutcracker. Andrew Smeeton and Jeff Douglas brew hand-crafted English Ales with a Texas twist at Four Bullets Brewery in Richardson. Stop by the brewery for a tour and tasting in the afternoons on any given Saturday. Meet and buy goods directly from farmers, ranchers, producers, and artisanal craftsmen at Four Seasons Market, a European-style market where you can snag fresh produce, locally-sourced meats, and fresh-baked pastries. Four Seasons has two locations in Richardson, one off of Campbell Road and the other on Coit Road. Pay a small entry fee to get in with the cool crowd at Free Play Arcade. Play more than 80 retro arcade games (all set to free play) like Pac-Man, Mortal Kombat, and Mario Bros. Expand your hops palate with one of the largest beer lists in the Metroplex and enjoy food like hot-pressed sandwiches and hand-crafted pizzas. Put the pedal to the metal with indoor go-cart racing at K1 Speed in Richardson, the perfect place for an adrenaline rush with friends, parties, team-building, and special events. Check out the Pit Cafe snack bar and the various racing leagues for youth and adults, racing classes, and Karting Academy. 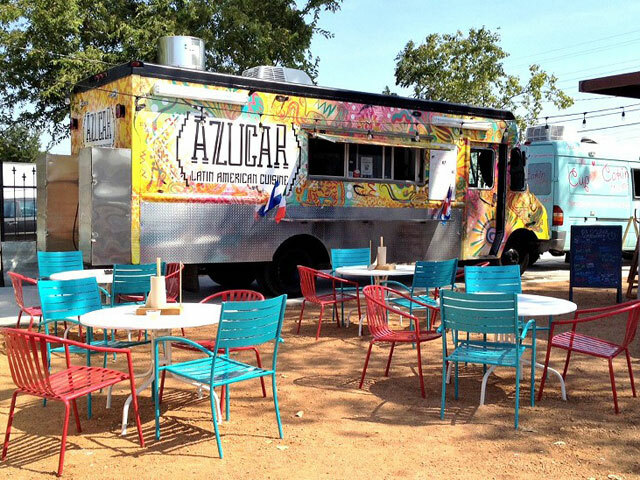 Get your fill of delicious street food served up by some of the best traveling eateries in the Dallas and Fort Worth area at the Richardson Food Truck Park. Tacos from El Rudo, crepes and French cuisine by Chez Flo, and all the savory eats served up by Cousins Main Lobster are just a few of your options. Pair up your food with a beer or glass of wine from the Interurban Bar. Be sure to check their online schedule to see which trucks will be in the park on the day you’re planning to visit. Open in the evenings Tuesday through Sunday. The Richardson Mercantile is a shopper’s paradise with an enormous variety of antiques, home décor, furniture, art, apparel, and jewelry. This is not your run-of-the-mill store. Hand-sewn pillows, stained-glass windows, and antique door knobs are among the many distinctive items stocked in the Richardson Mercantile, a unique shopping destination in North Texas. Take a morning jog or evening nature walk along the Spring Creek Nature Preserve, located along Spring Creek. Bring a picnic, play a game at the horseshoe pits, and enjoy an afternoon outdoors in one of the top attractions in Richardson for outdoor enthusiasts. Rack up the savings at Allen Premium Outlets, near Richardson. Shop outlets of favorites like Neiman Marcus, Michael Kors, Kate Spade New York, Tommy Hilfiger, J.Crew Factory, Adidas, Coach, Kenneth Cole, Last Call, True Religion, and Polo Ralph Lauren. 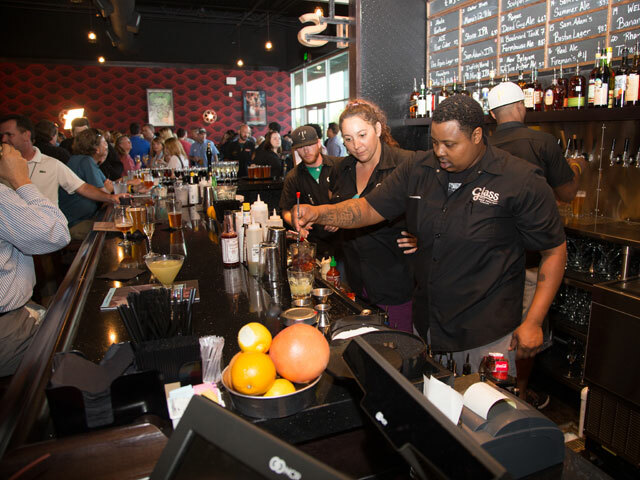 Enjoy happy hours, weekly specials, and events like MMA fights and fantasy football draft parties at Dave & Busters in Dallas, a sports bar where you can eat, drink, watch, and play sports all in one spot. Eat delicious dishes like the Caveman Combo and Bang Bang Chicken with Spicy Thai Peanut Noodles and try to get the high score on Dance Dance Revolution or any of the other video games. Firewheel Town Center is another revered shopping spot near Richardson with Main Street-style shopping, dining, and entertainment. With more than 125 stores, restaurants like Houlihan’s and Gloria’s, and an 18-screen AMC/IMAX Theatre, Firewheel Town Center is a great destination for all your shopping needs or a great place to go for a romantic date night. With more than 230 stores and restaurants, including Neiman Marcus, Macy’s, Nordstrom, and Dillard’s, NorthPark Center is one of the largest malls in Dallas. Whether you’re looking for back-to-school clothes or the perfect pair of shoes to match that new dress, you’ll find it here. NorthPark Center also has a wide selection of luxury boutiques, art exhibits, impeccable landscaping, and a 1.4-acre garden. Play golf from the comfort of climate-controlled bays at Topgolf Dallas. While you compete with friends for the highest score, order something tasty from the extensive food and drink menu, enjoy free Wi-Fi, and watch the game on one of the 190 high definition TVs. You can choose from game modes like TopDrive and TopScramble, as well as hit some balls in the baseball batting cages or play a round of miniature golf.